Just a short post to say Happy Valentine’s Day to everyone. I hope you have special plans with you family and friends. Macy, Jacob and I made cookies for Macy’s class last night. I’ve made a lot of cookies this past month, its been alot of fun and as always each project is a learning experinece for me. 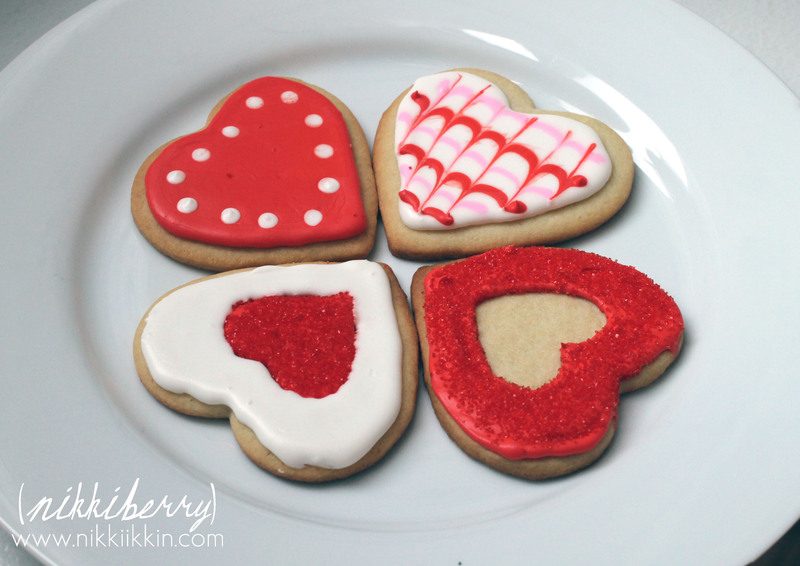 Here are some of our favorite of the 30+ cookies we made last night. Yes I copied this idea straight from this month’s Better Homes and Gardens. See it HERE I tweaked the idea a little with a printed topper (it has a fill in “To:” & “From:” on the back) and royal icing decorations. What I really loved about this treat is the style of a packaged cookie. 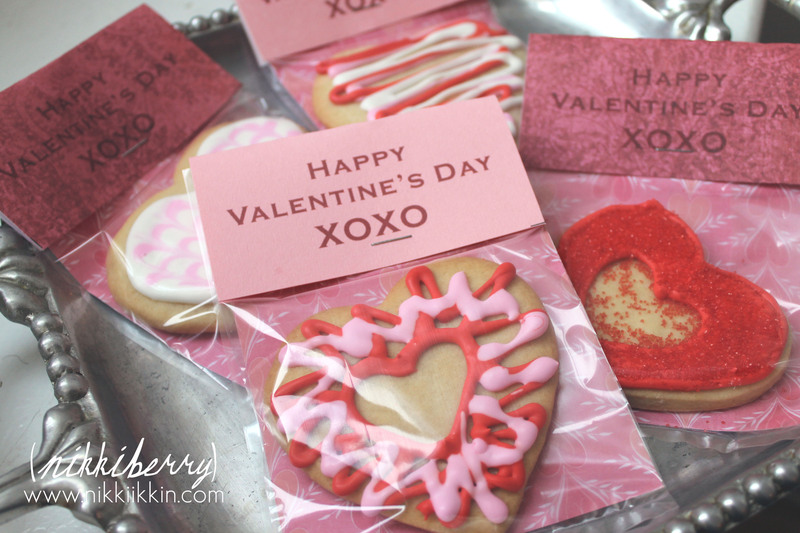 A 4″ x5″ slip of scrapbook paper is inserted inside the bag and the cookie rests on it. The topper is 4″x4″, folded in half and you have to cut the cellophane standard treat bag down a bit for to get this size. Yes a ribbon tied on the top would have been cute but a staple works GREAT! and is a lot quicker ;) My only tip so far in making these treat bags: don’t package these too early, day of party is best. I found that the butter in the cookie created a slight oil stain through the paper when I made these for Hudson’s birthday party last week. P.S. can’t wait to share that party soon!